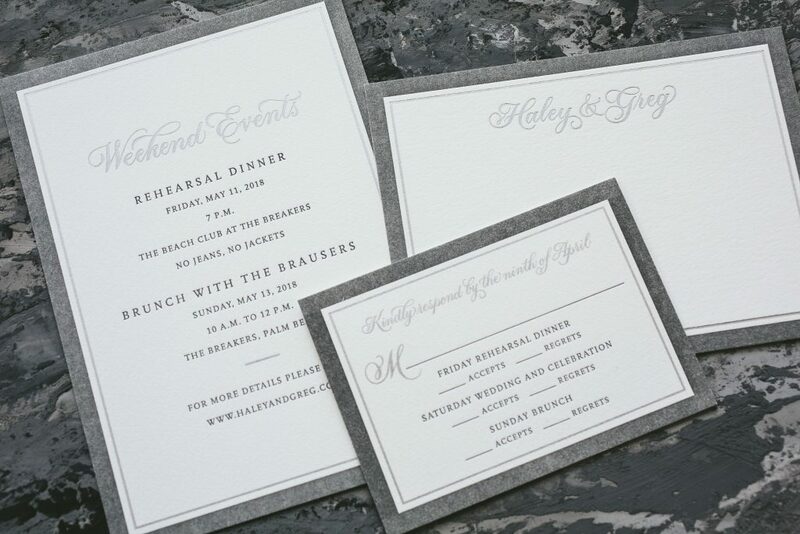 Our Townsend design has sparked many customizations and we’re excited to share Hayley and Gregory’s version. 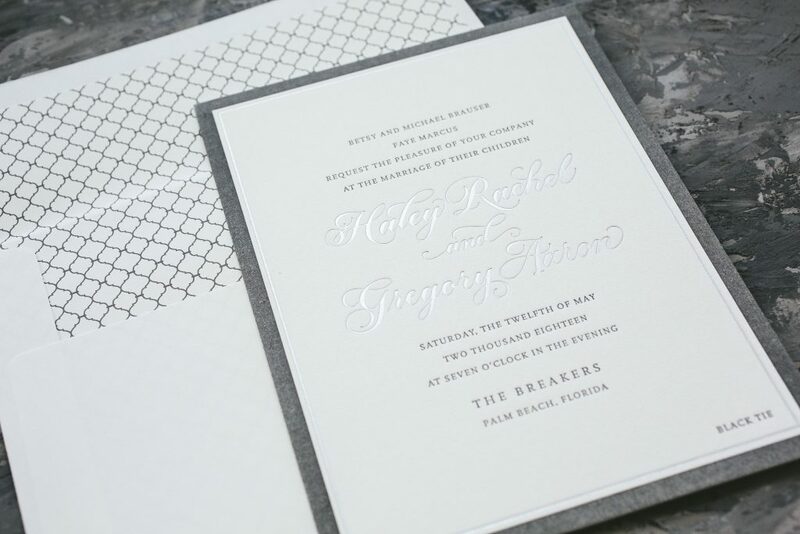 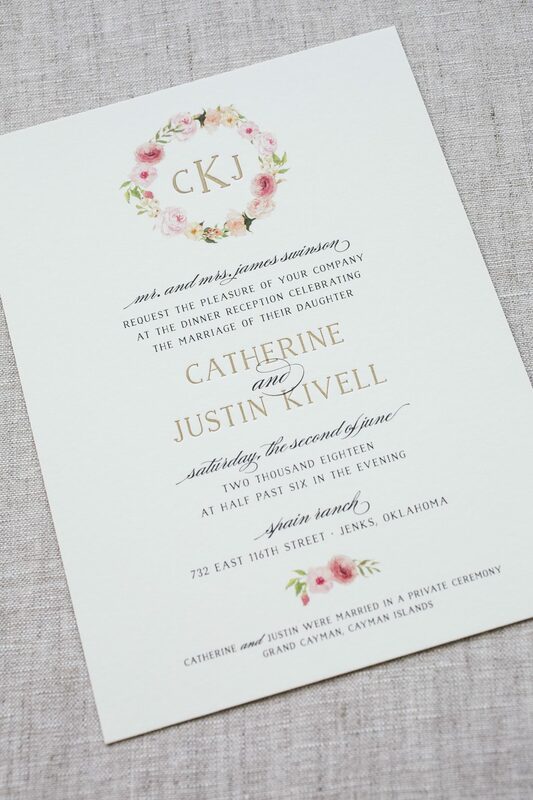 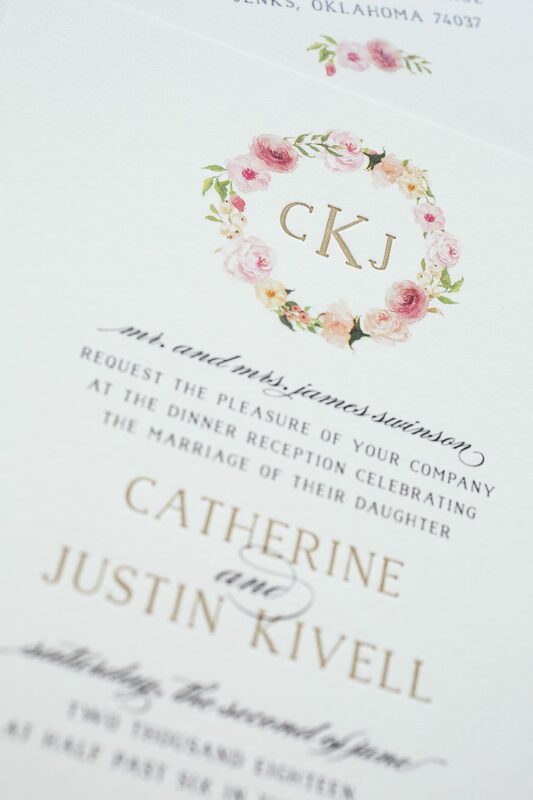 Their silver foil wedding invitations with calligraphy created an elegant impression for the event to come. 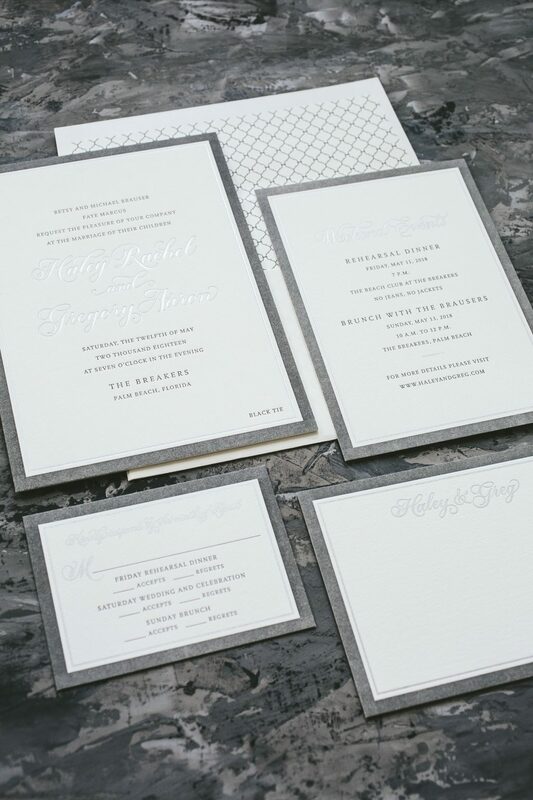 Sarah Hanna’s Honoured style shining brightly in Silver Matte foil adds a personalized accent to the set. 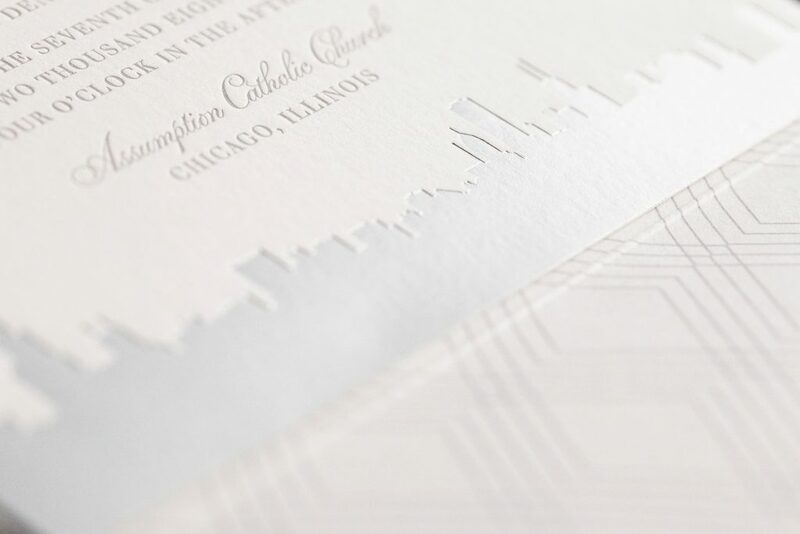 The remainder of the text as well as the border printed in Charcoal letterpress keeps a cool color palette. 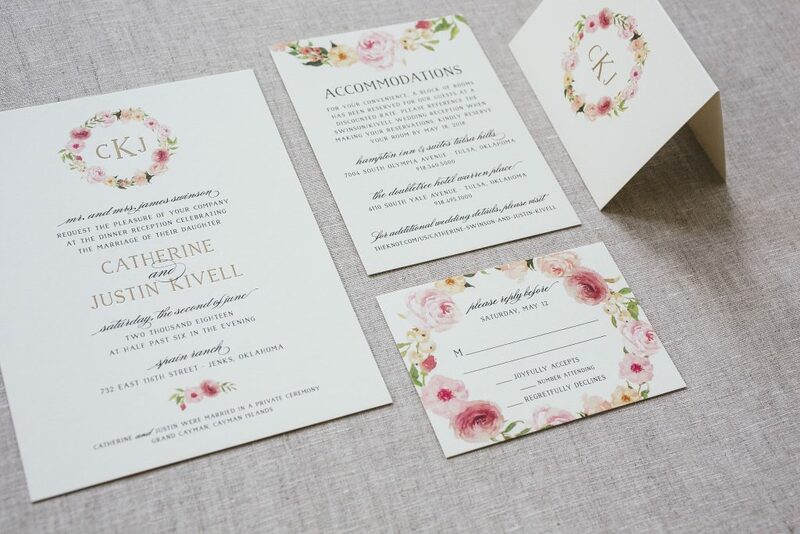 The reply card, rehearsal dinner card, and a coordinating thank you card also contain the same border. 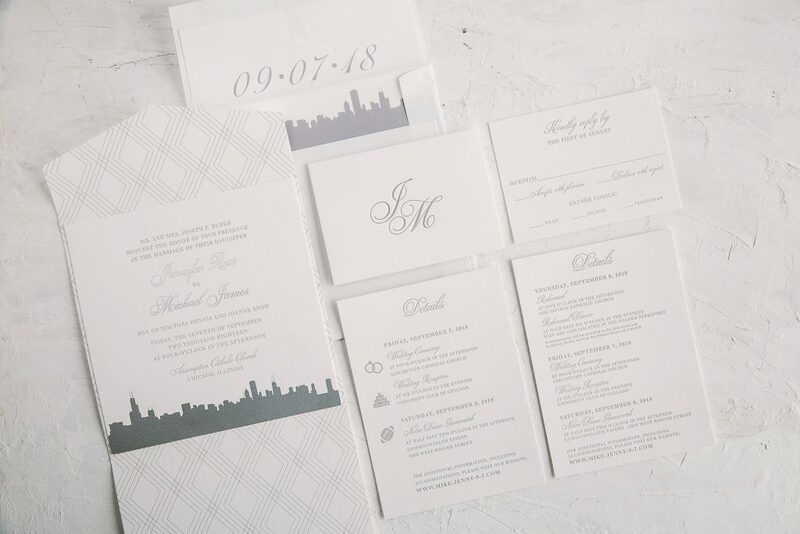 Finally, to finish the suite, they added an envelope liner in our geometric pearse pattern. 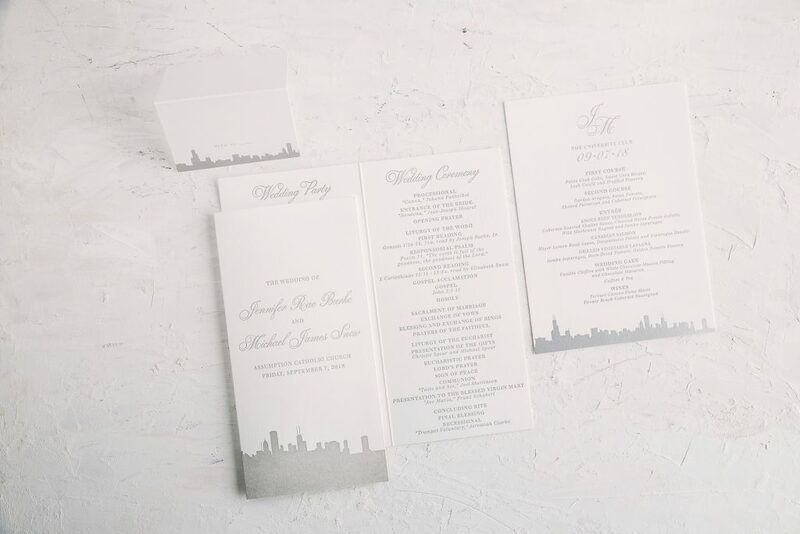 Thanks to the help of Papery and Cakery for bringing this suite together!